MOTA Black Magic Skate Package Factory Direct! 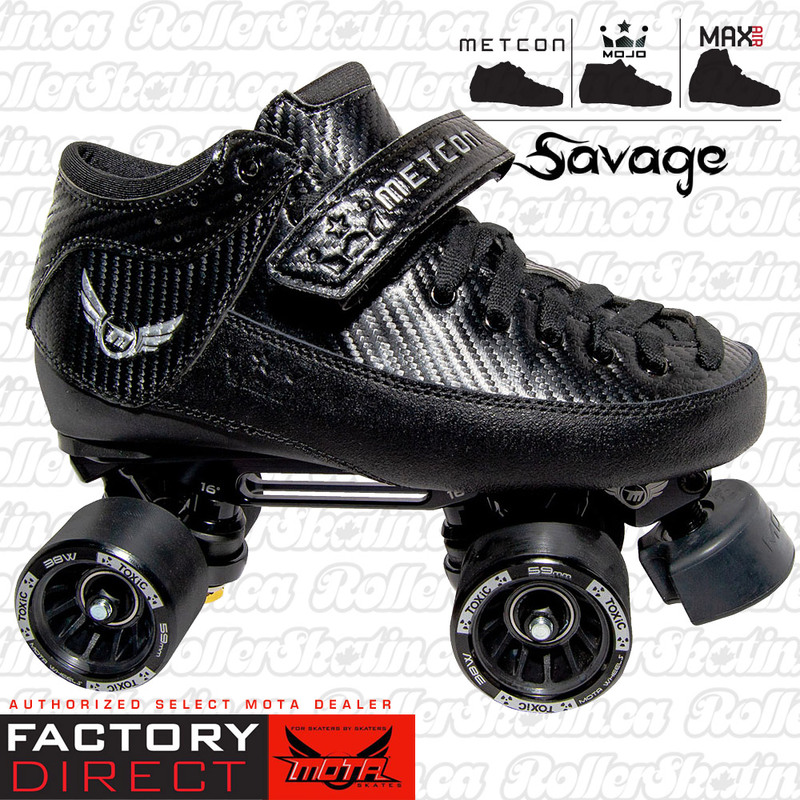 MOTA Metcon/Max/Mojo Black Magic SAVAGE Skate Package Factory Direct! The MOTA Black Magic SAVAGE Skate Package represents the BEST in premium derby skate components all in one factory assembled package! 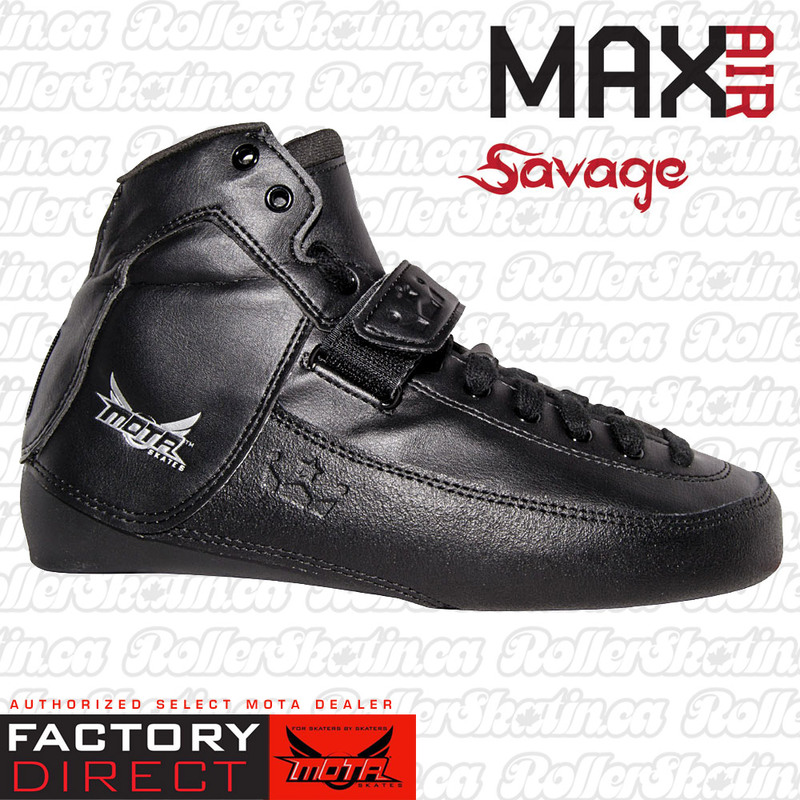 This super lightweight combo is outstanding for skaters looking to move up to quality! 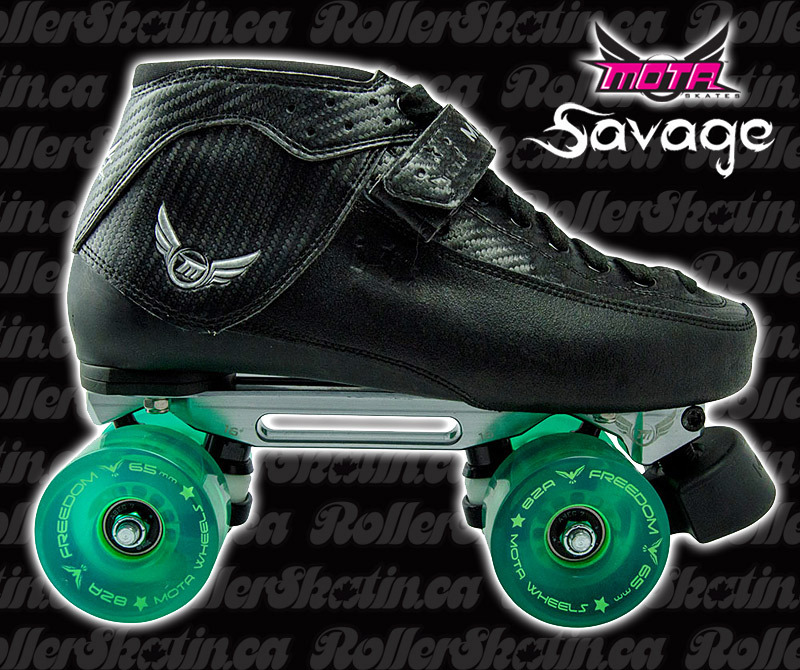 Unleashing the all new MOTA Black Magic SAVAGE Skate Package! MOTA is redefining how a quad boot should be designed, manufactured, with fit, function and performance at the most elite level of skating. ALL MOTA products are designed by Julie and Doug Glass (formerly with ATOM Wheels, PILOT plates, BIONIC) and tested by skaters for skaters. 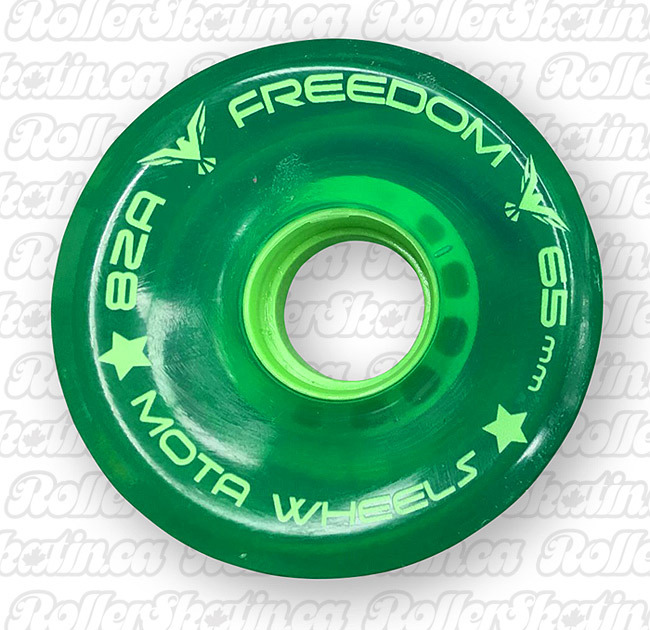 Choose from any Mota Hybrid Grip or Roll wheel, Mota TKO Wheels OR MOTA FREEDOM Outdoor wheels! AND for no additional charge choose from standard 8mm threaded trucks OR quick wheel change flip clip axles AND your choice of cushions/bushings! • 7075 Alloy base plate to prevent twisting or flexing which causes kingpin and truck issues/breaking. 7075 aircraft aluminum gives better response and control. • Lower center of the axles by 5 MM, this raises your center of gravity, providing additional leverage for better maneuverability and more power. • Overall designed for strength, making the center area square and adding the bridges allow us to reduce weight and increase the strength. • Cast bushing, like a high quality wheel we made bushings the same way. Cast bushing have ultimate return and will not split and will return to their original position with every push. 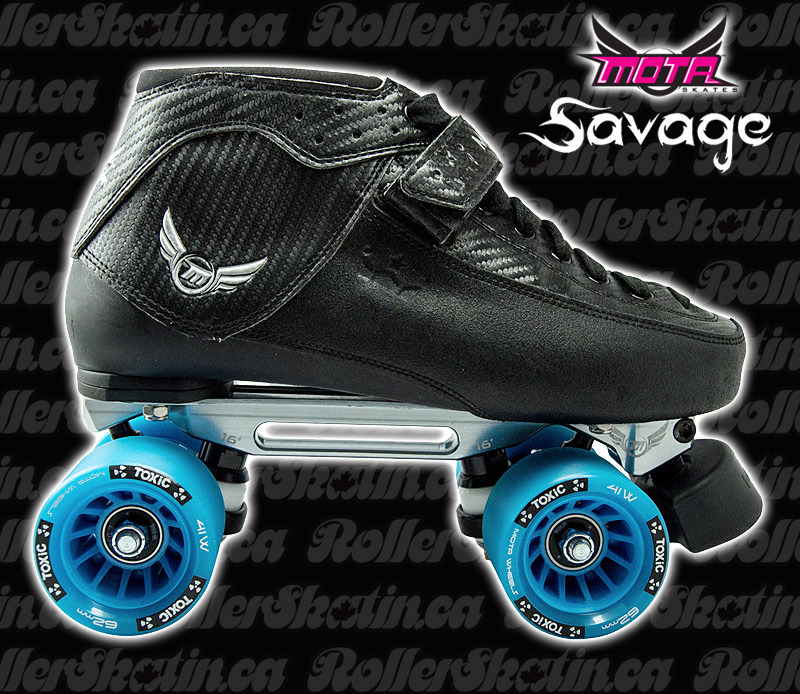 •• SHOP WITH CONFIDENCE, ROLLERSKATIN.CA IS A MOTA FACTORY DIRECT AUTHORIZED DEALER – YOU PAY THE SAME AS FROM MOTA U.S.A., BUT PAY IN CANADIAN DOLLARS, AND SAVE ALL THE HIGHER COSTS OF INTERNATIONAL SHIPPING, BROKERAGE AND DUTIES!! 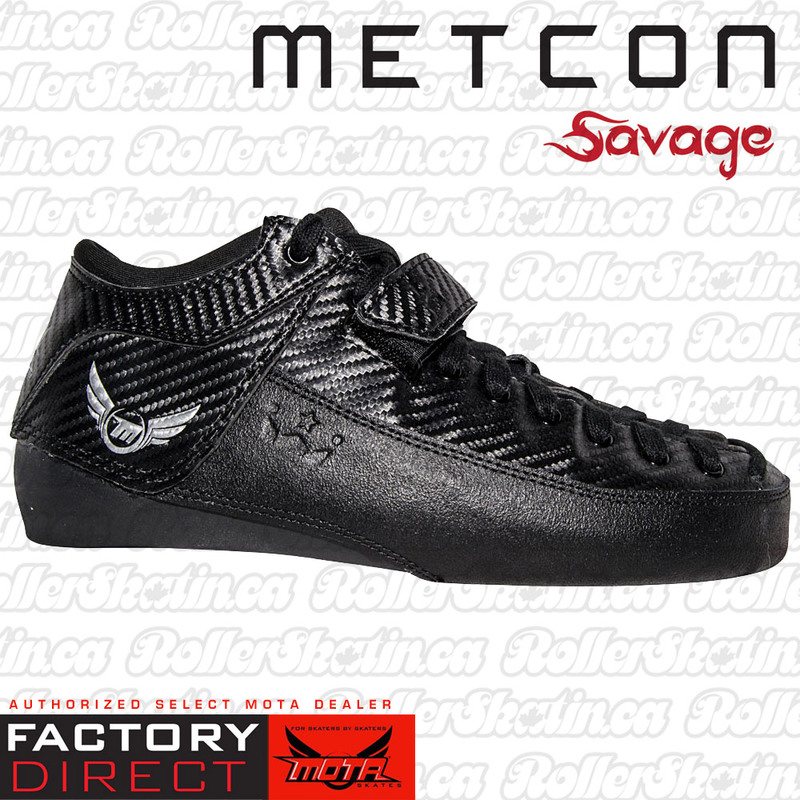 Mota Metcon/Max/Mojo SAVAGE Boots & Boss Plate Combo Factory Direct! 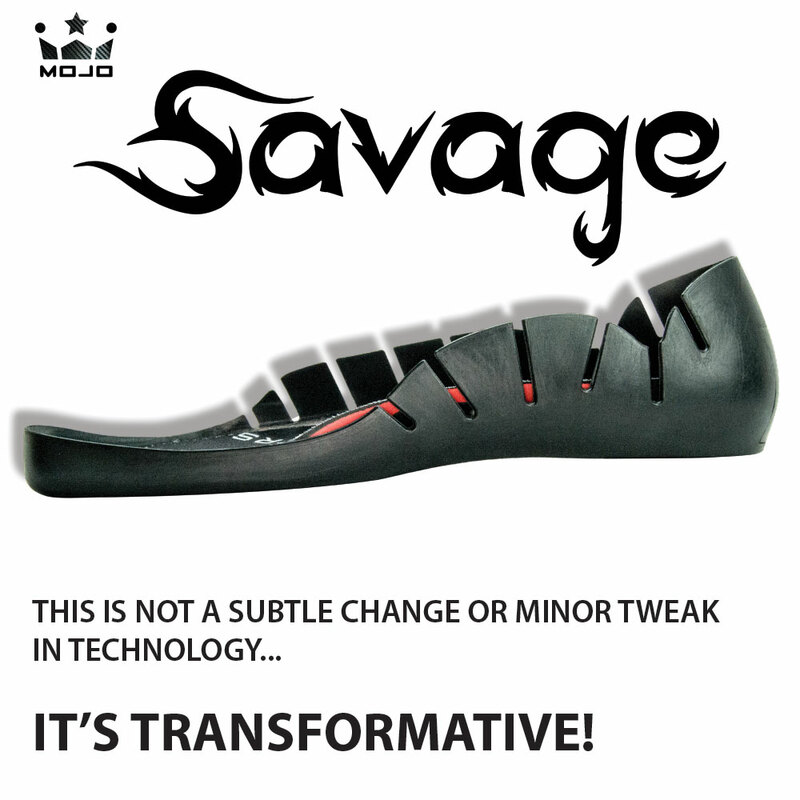 Mota Mojo SAVAGE Boot Factory Direct! Mota Mojo Hybrid Or Carbon Stock Boots & Boss Plate Combo Factory Direct! MOTA BOSS PRO Stock Quad Plate Threaded or Flip Axles Factory Direct! 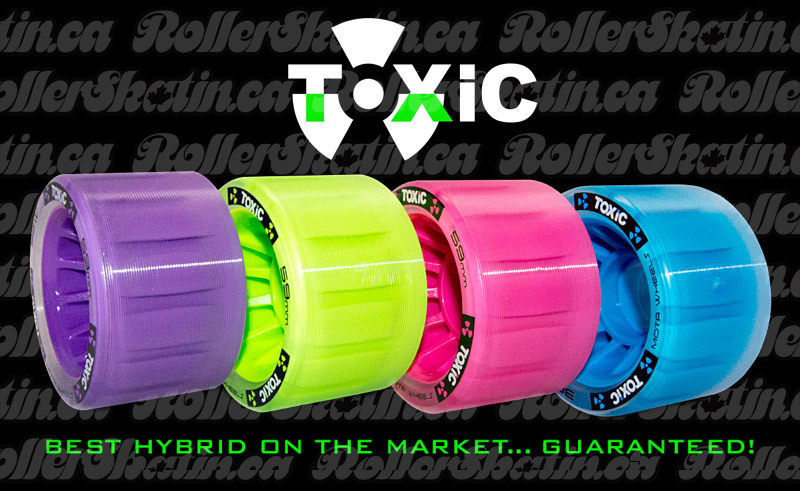 MOTA TOXIC 88A GRIP OR 93A ROLL Wheels 4 or 8-Packs Factory Direct!